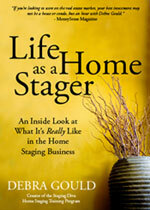 Once you’re a Staging Diva Directory of Home Stagers member, it’s easy for agents and home sellers to hire you! PLUS, members enjoy FREE project referrals, notification of guest speaking opportunities in their area, as well as media interviews! Dolly DeWald, NE Year 4! Gloria Salvetti, VA/MA Year 4! Sample of the Social Media icons you can have as links on your Profile listing. Choose any or all of these: Twitter, Facebook, LinkedIn and YouTube. This is a FREE perk if you commit for a full year, or $75 if you’re on the quarterly billing plan. Extra Benefits for Profile Listings! You can have a free brochure produced by Staging Diva for your company when you have a full year Profile Listing. Plus, you’ll get a download link on your Directory Profile Page so your customers can access your company brochure instantly! The sooner you join, the higher up on the list you are for your locations. If you’re first to join the Directory for your areas, your listing will always come out on top in a Directory search!